Belarus has long been known as a country of marvelous nature, lakes, original culture. However, for the recent years Belarus has been acquiring its value and significance not due to its culture, but thanks to the economic policy the country leads as well. The model of economic development Belarus has chosen, and the results it has accomplished by the present days allow us to consider Belarus as a reliable and stable partner on the world’s market. We are happy to present for your attention a new section of our portal – “Guide around Belarus” – where we have tried to describe basic economic, social, cultural aspects of Belarusians’ life. Special attention is paid to the peculiarities and advantages of business conduct in the Republic of Belarus. The pieces of information presented here conform to current regulations of Belarus’s trade, migration, antimonopoly, currency, and tax laws, however, the “Guide” is capable to present just a brief review. ►Section “Economic kaleidoscope” uncovers basic aspects of economic activity of the Republic of Belarus. Here you can find principal social and economic indicators, description of the country’s economy crucial branches. ►“Arrangement and conduct of business in Belarus” fits for those who wish to launch an enterprise on the territory of the Republic of Belarus or make investments. The section characterizes investment climate of Belarus and its investment policy. Here you can find the answers for basic questions on establishment of an enterprise, business conduct, personnel employment, taxation system and many others. 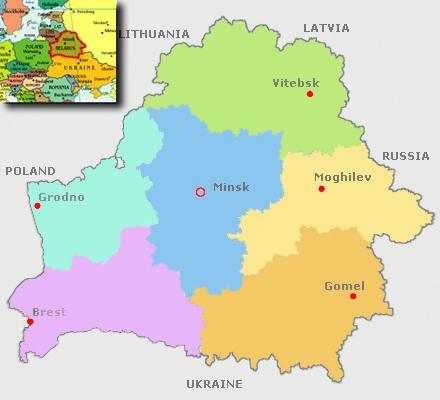 ►For those who are going on a business trip to Belarus or just travel we offer a section “Traveling to Belarus”. Where to find accommodation, what things and where to buy them, where to go, how to entertain yourself – all answers you can find in this section. ► Section “Useful information” contains many helpful links, addresses, telephone numbers you may need when visit our country. We hope that our “Guide” will help you create first impression about the Republic of Belarus, get a foretaste of business activity conditions within the frameworks of legal system, and get an idea of opportunities for your enterprise in Belarus!